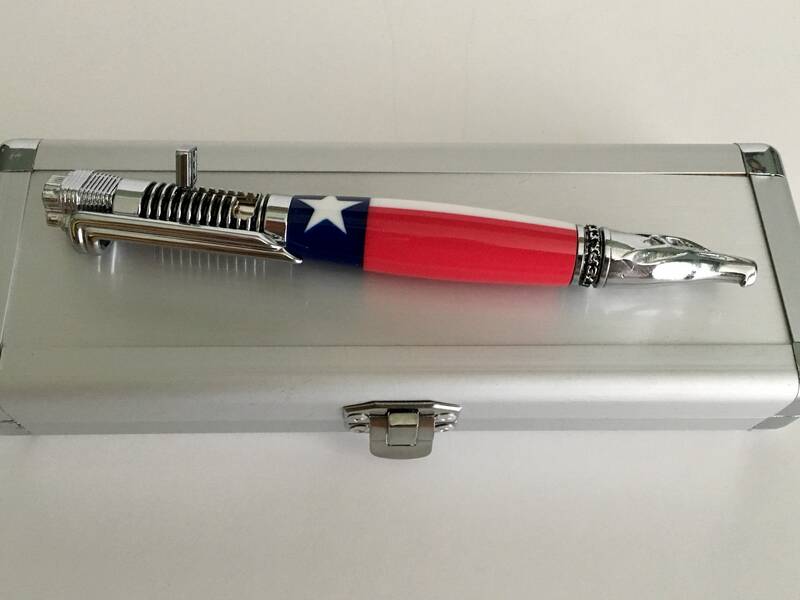 Capture the thrill of the open road with this beautifully crafted Motorcycle Pen. Each and every component is thoughtfully designed and finished with breathtaking detail for a look that is pure open road cruiser. 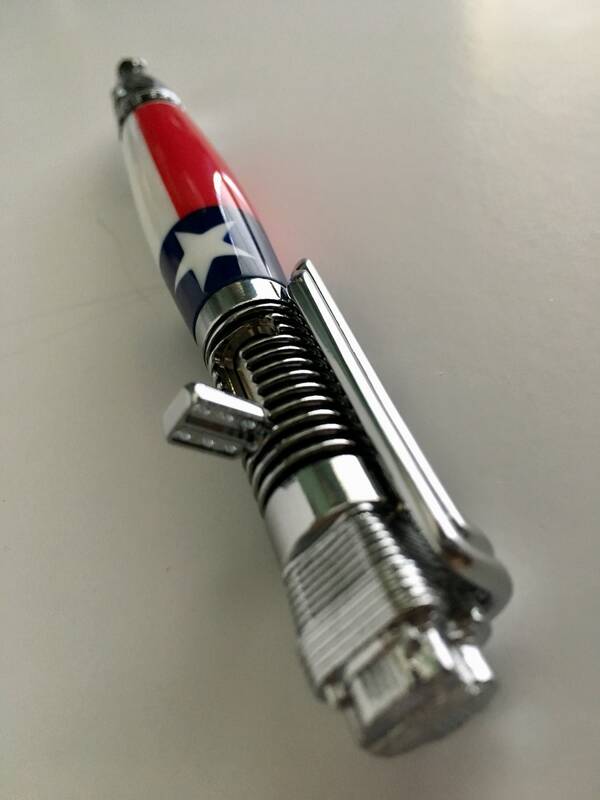 From the straight pipes to the muscular lines of the old school single cylinder engine with kickstart mechanism, your custom-built pen will make a statement. 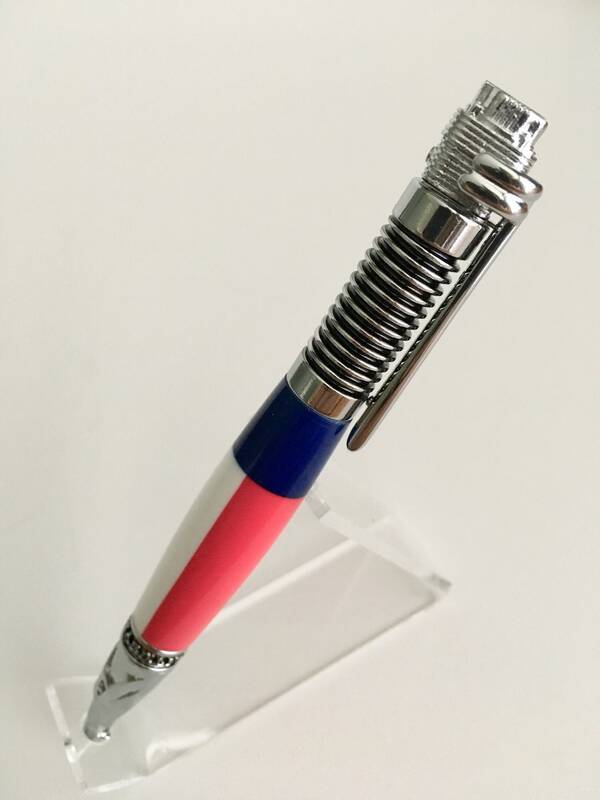 The pen tip features a fierce, intricately cast eagle head with the engraved words, “Ride Hard. Live Free” as a band above the eagle head. A true to life old school single cylinder engine adorns the pen end. 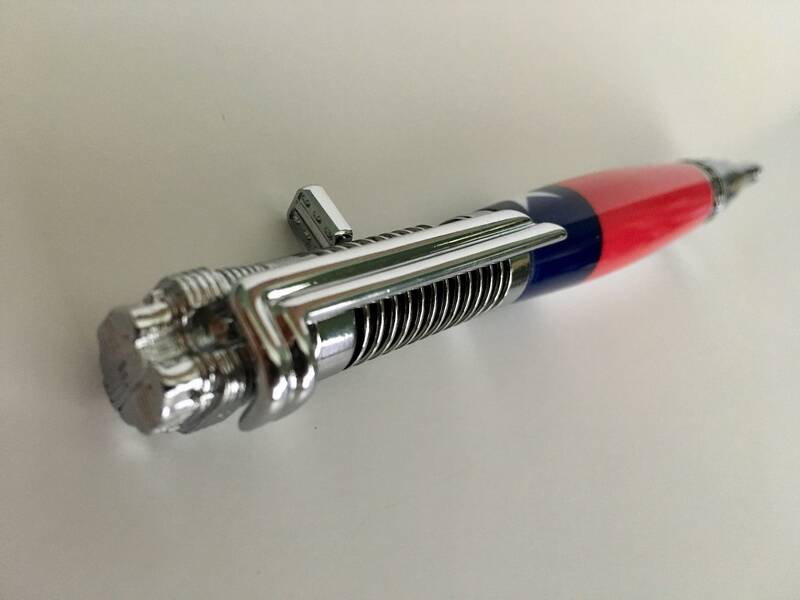 A machined shock absorber sits beneath the engine while the engine’s straight exhaust pipes act as the pen clip. On the shock absorber you'll find a super cool "kickstart" mechanism that replicates the kickstarter on the motorcycle. 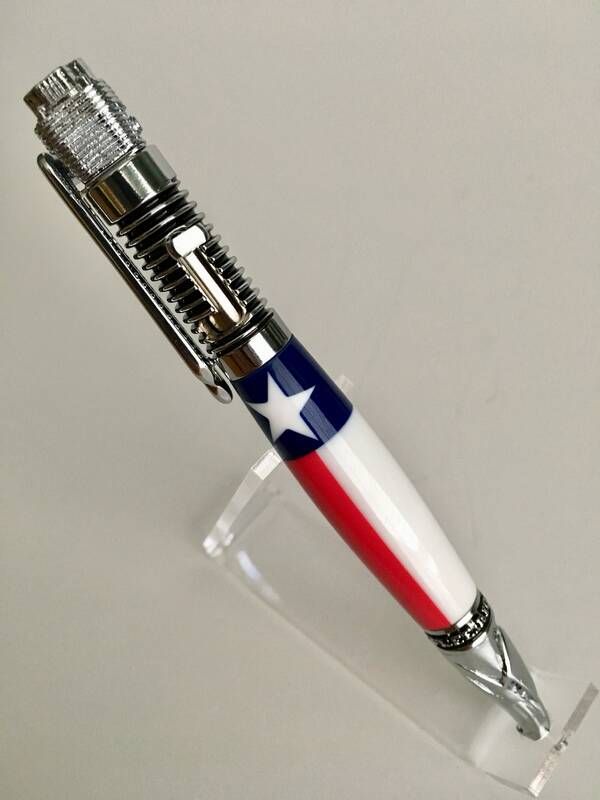 The body of the pen was hand turned by me and represents the GREAT State of Texas. 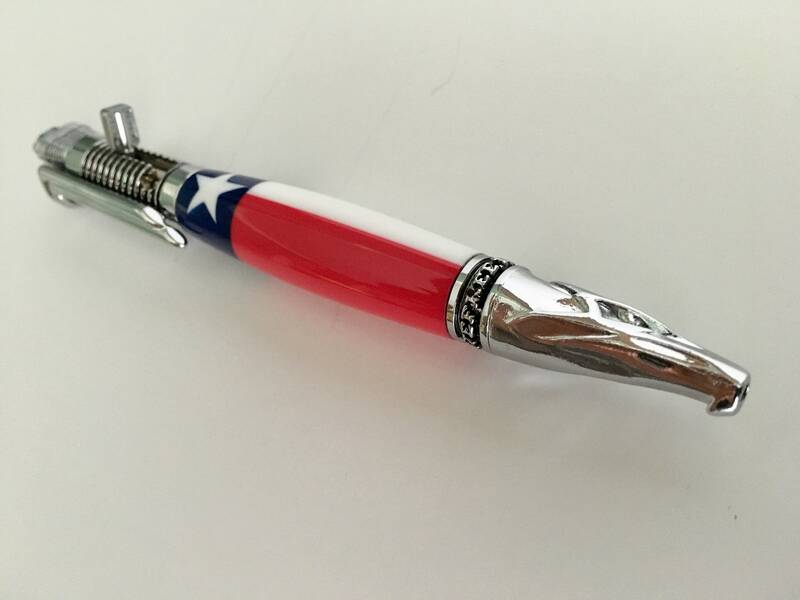 The Lone Star with Red and White Stripe turned beautifully and polished to a very high shine. Price included the aluminum gift box shown in the pictures. 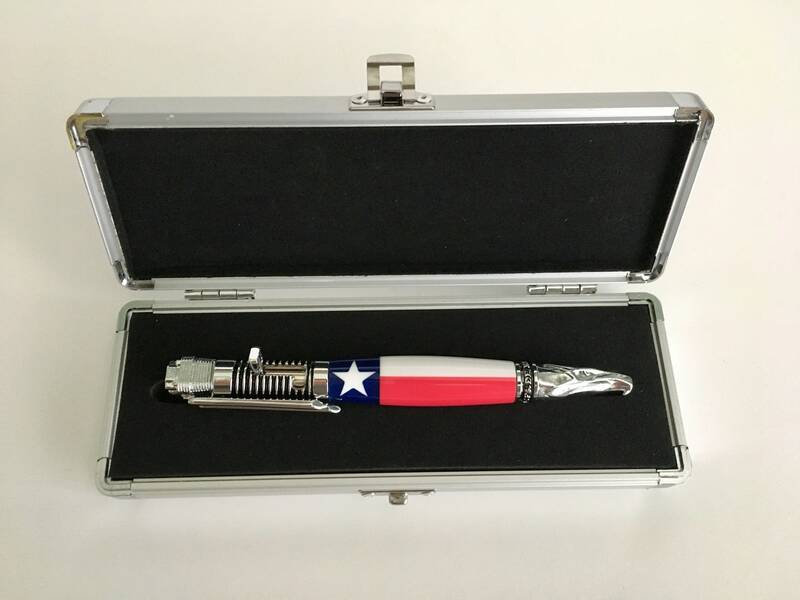 This pen is available for immediate shipment. It can also be purchased in different finishes, black and chrome or just chrome. The wood body can also be special ordered in different finishes. PM me for more options. It is a beautiful as the picture! Great job!